We are a newly constructed hotel located minutes from Hartsfield International Airport and downtown Atlanta. 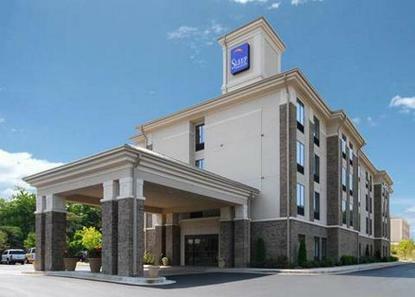 The Sleep Inn and Suites in Fairburn can offer you a complimentary USA Today, 24 hr fitness center, indoor pool, business center, meeting and board room, with a daily, hot deluxe breakfast. We also offer a Sweet Shop conveniently located adjacent to the front desk. Each of our hotel rooms include free wireless internet, flat screen TV's, microwaves, refrigerators, in room coffee makers, iron with ironing board, hair dryer and clock radios.